The theory of cloud computing and storage existed since the 1960s. This theory created by John McCarthy has now grown into a full blown business of the future. Todays advances in technology have allowed us to take advantage of delivering hosted services over the Internet. Known as cloud computing these services are divided into three categories: infrastructure-as-a-service (iaas), platform-as-a-service (paas) and software-as-a-service (saas). The name cloud computing originated from the cloud like symbol used to represent internet flowcharts. Cloud computing or service is typically sold on demand, and usually by the minute or hour, and the consumer has access to as little or as much as they want. A cloud can be used for public or private uses. A public cloud will sell to anybody on the Internet, whereas a private cloud may specialize or sell to a limited number of people. For many computer owners trying to find a place to store all the accumulated data, files, and software can be a really difficult challenge. Large hard drives can be expensive, and cheaper ones won’t contain enough storage space. This is were cloud storage comes in. 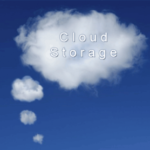 Cloud storage is the saving of data to an off-site storage system maintained by a third party. It is saved to a remote database using the Internet as connection between you and that third party database. 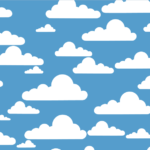 There are quite a few advantages to cloud storage including: access to your data from anywhere with an Internet connection, no need to carry around a storage device, your data can be access from any computer, and with the right choice of storage you can even allow other people to access your data if its necessary to share it. See Also : What is shared hosting? Use of this technology for storage is used by many people including CIOs, enterprise architects, information architects, application developers, integration specialists, and much more. Although cloud computing and storage is so widely used there are a few factors that may be unfavorable and important for one to keep in mind. Storing data in these areas can result in a lesser privacy protection from the law. Authorities need much less authorization to search data through these storage areas. Any data stored is often somewhat at risk to hackers obtaining it through the use of recovery passwords, phishing attacks, key-loggers and such. Often your data is at the mercy of third party holders, and they can make decisions about how your data is handled in ways never seen before. One last and final risk is server unavailability and account lockouts. Often our storage devices such as hard drives and usbs can fail, but so can the servers of companies resulting in server unavailability and account lockouts. When it comes to That certain day when you have to do a presentation problems can occasionally arise making for a stressful day. What you want to say about Cloud Computing? Victor Daily is a blogger interested in technology and social media. He often writes about the trends in cloud computing cloud computing and cloud services . I never knew this much about Cloud Computing …Thanks man !! I heard many times about this cloud computing it seem a good tools for those have much work to handle. 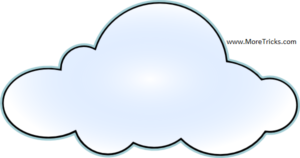 I’m using one of the best cloud computing today and I must say that i am satisfied with their services. It’s really useful!